There are many children within the state of Georgia and beyond that are in need of a permanent loving and supportive family. Many have either been displaced from their original families or voluntarily given up. If you are interested in giving a child a healthy and positive family environment, we hope the information provided helps to start your adoption process. Adoption provides an opportunity to create a new family by giving adopted children the same rights and benefits as those born into the family. However, most importantly, it represents a new beginning and hope for a better life for the adopting family and adopted child. There are many couples or individuals that have difficulty to have children of their own and turn to adoption as a way to create the family they have always wanted. On the other hand, sometimes parents are not in the best position to care for and nurture their children. Instead of growing up in foster care, adoption allows a child to be raised by parents that can care for them. Most everyone can adopt a child but Georgia does have certain eligible criteria to be able to adopt. If you are a single person seeking an adoption, you must be at least 25-years-old, at least ten years older than the child to potentially adopt, and a resident of Georgia for at least six months before filing a petition for adoption. If you are a married couple seeking to adopt, you must be at least 10-years older than the child and meet the Georgia resident requirement previously mentioned. Married couples must include both their names on the petition. 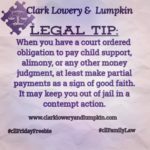 The most important criteria for couples and individuals is that you must be financially, physically, and mentally able to have permanent custody of the child. In other words, you must be able to take on the important responsibility of providing a caring, supportive, protective and loving environment to properly raise a child. Once these requirements are met, the process to adopt a child can begin. The adoption process can be difficult and complicated. However, in the end, it can be the most rewarding experience. There is a couple different ways to adopt such as public and private adoptions, step-parent adoptions, international adoptions, and relative adoptions. Public adoptions are usually through the Department of Family and Child Services. Private agencies are commonly used to adopt infants. When a family member is unable to care for child, other members of the family such as aunts, uncles, brothers, sisters, and grandparents can seek a relative adoption. Stepparent adoption is when a person seeks to adopt the child of their current or former spouse. International adoptions are common but must meet the requirements of that foreign country and the state laws. The process through these various types of adoptions is usually similar but the most important is the petition. A couple or individual seeking to adopt must file a petition with the court that states why the adoption is in the best interest of the child. 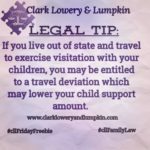 This process can be long and it is important to seek a family law attorney who has experience with adoptions and understands the law to help achieve your goal in adopting a child. 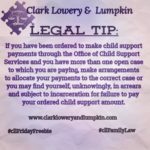 Clark, Lowery and Lumpkin have experienced attorneys that can assist in your adoption. Feel free to call the firm to speak to one of our attorneys.